DSP Manager is the sound processing app from the Cyanogen Mod Team(thanks). In my opinion It's better than beats audio. 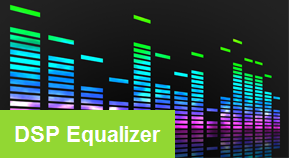 You can customize the equalizer manually or select from a bunch of preset options. Attached you will find the apk in a zip file that will install as a system app. I used this on the One X, can't remember who created it, sorry. Tried it on the GS3 and it's seems to be working perfectly. If it worked for you please report back!